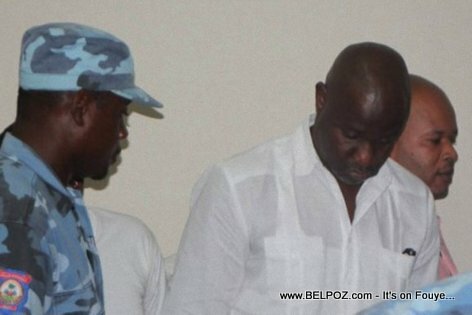 KREYOL: Haiti - Sonson La Familia lage nan prizon... Juge Lamarre Belizaire di pa genyen ase evidans pou kenbe ni sonson la Familia, ni Renel le Recif nan prison pou kidnapping... Kisa ou panse de sa? Sonson La Familia and Renel le Recif were freed late Friday after a trial that lasted about two hours, Judge Lamarre Belizaire threw out the indictment, the Miami Herald reported. Ethéart who is the supposed leader of a kidnappping ring called Baz Galil has been in jail since May, accused of kidnapping Haitian businessman Sami El Azzi and 17 other victims for an estimated $1.5 Million in ransom money collected.